Today, Thursday, January 24th, ALEPH Alliance for Jewish Renewal is please to announce that the Coalition on the Environment and Jewish Life (COEJL) and Canfei Nesharim, an organization that focuses on sustainable living inspired by Torah, begin a new strategic collaboration to promote advocacy and action on energy policy and conservation in the Jewish community. COEJL’s Jewish Energy Guide and Canfei Nesharim’s Year of Action will be launched in time for Tu B’shvat, the Jewish New Year for Trees. Marrying action resources with implementation tools, this collaboration will reach across multiple denominational and organizational spectra of Jewish life. 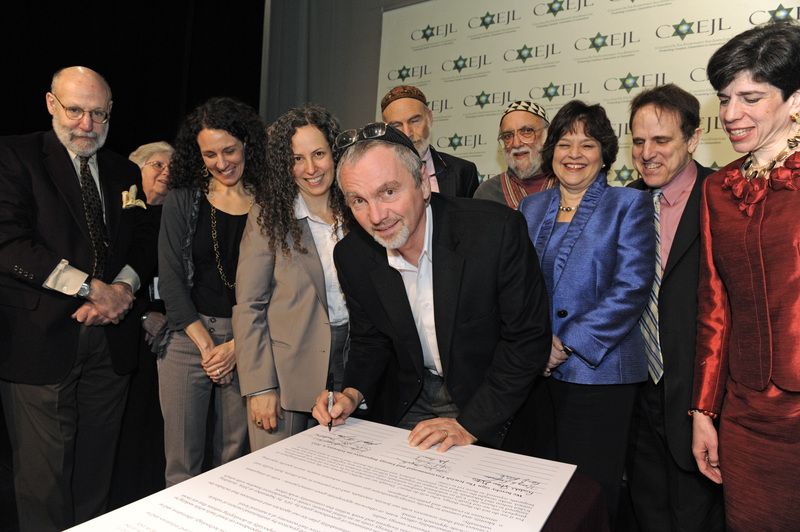 ALEPH is a signatory and supporter of the Jewish Energy Guide and strongly supports COEJL’s mission. As part of COEJL’s broader Jewish Energy Covenant Campaign, the Jewish Energy Guide and accompanying Canfei Nesharim Year of Action serve as blueprints for the Jewish community to achieve a 14% reduction in greenhouse gas emissions by September of 2014, the next Shmittah, or sabbatical, year in the Jewish calendar. With 18 organizational partners, like ALEPH, committed to using and distributing the Jewish Energy Guide, participants will have access to a comprehensive approach to the challenges of energy security and climate change. Contributors to the guide include notable figures from the Jewish and environmental worlds, such as Bill McKibben of 350.org and Deputy Mayor of Jerusalem Naomi Tsur. Canfei Nesharim’s Year of Action will provide tools and resources to empower the Jewish community to take action on energy conservation and reduce food waste, including action tips and a calculator on Jewcology.com, a web-based social media portal for the entire Jewish environmental community, where participants can report their actions and see their results – as well as the results of the entire Jewish community. The program follows their 2012 Year of Jewish Learning on the Environment and continues through Tu B’Shvat 2014. New actions will be posted throughout the year. The year 2013 marks the 20th anniversary of COEJL and the 10th anniversary of Canfei Nesharim. With the support and blessing of ALEPH, these Jewish environmental organizations will inspire the Jewish community to take immediate action and make a meaningful impact this year.